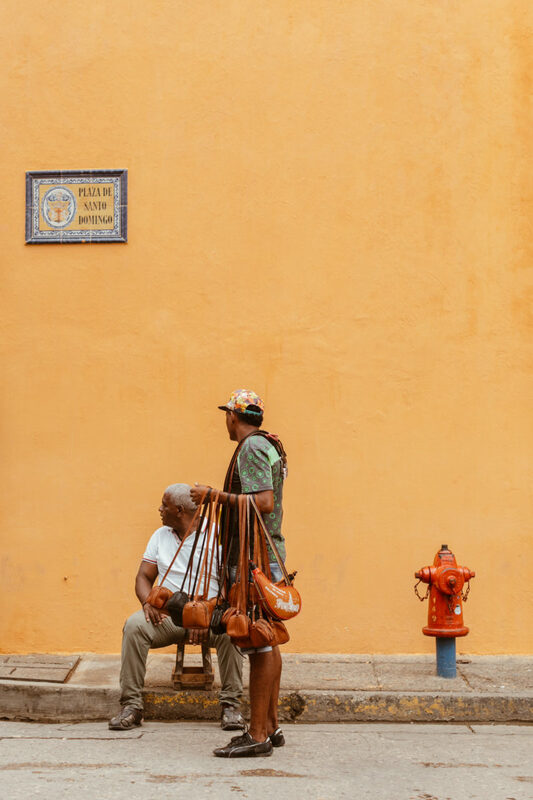 The Plaza de Santisma Trinidad is the epicenter of Cartagena's Getsemani neighborhood, a lively hub for nightlife and restaurants just outside the walls of the Old City. 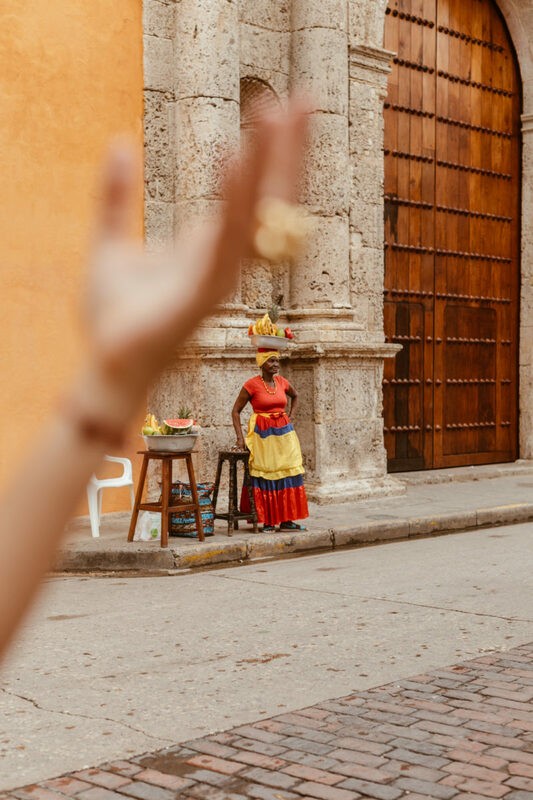 Resting on South America’s northern shores, the tropical city of Cartagena is nothing short of intoxicating. 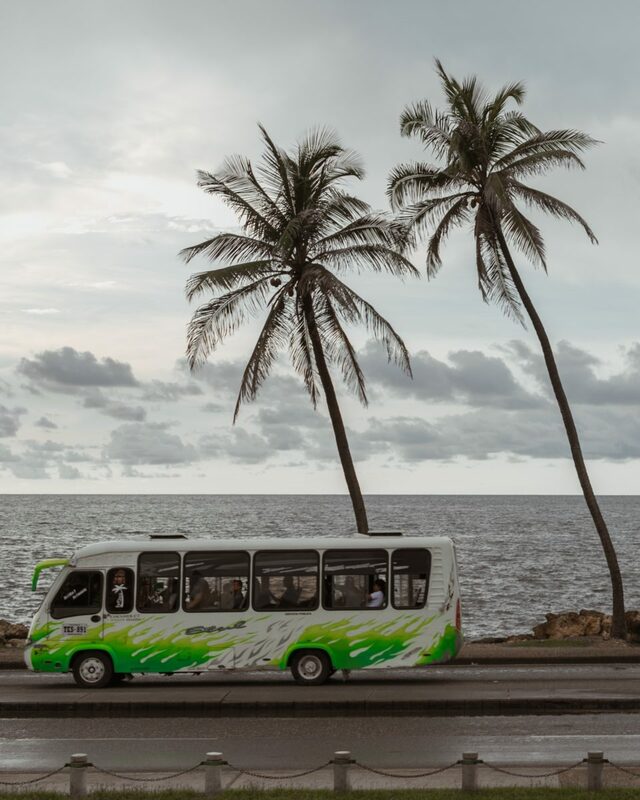 Photographer Vanessa Granda captures the brightly painted houses, lazily swaying palm fronds, and sticky salt air blowing in off the Caribbean sea—transporting us to a state of pure Colombian calm. 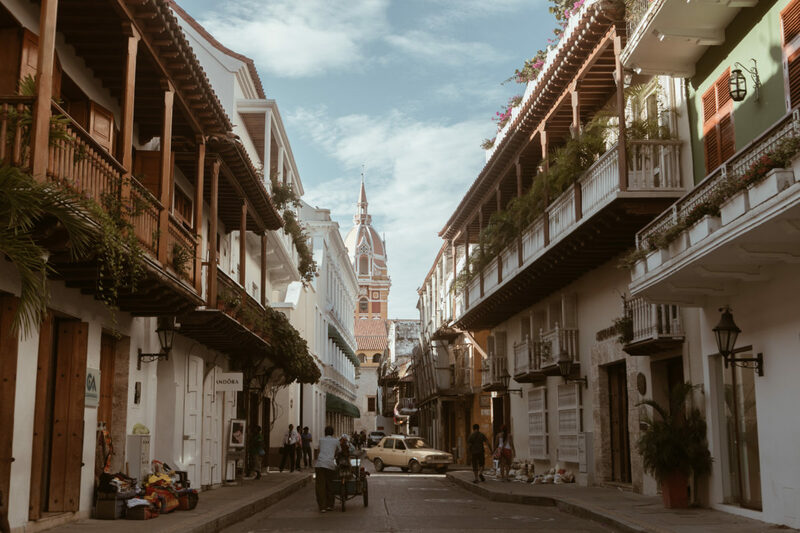 Cartagena's storybook architecture exists inside 11 kilometers of walls, which were built starting in 1586 to protect against pirate attacks. 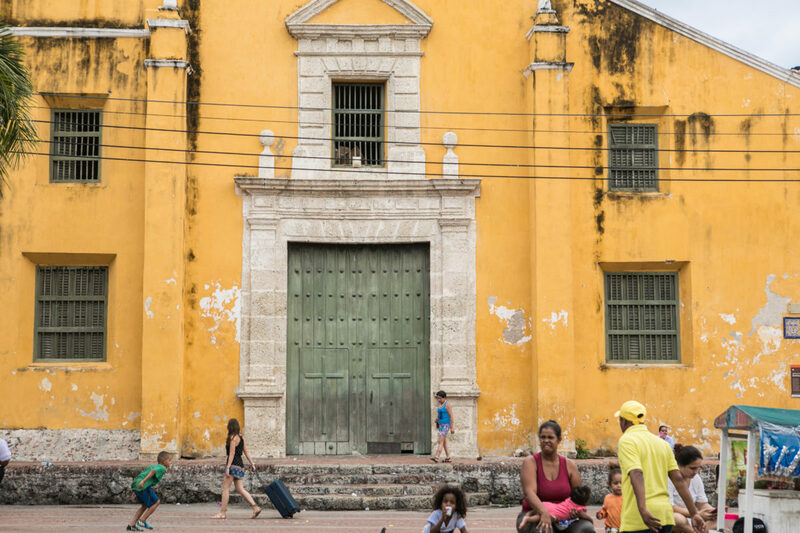 The colonial walled city and fortress are a UNESCO World Heritage Site. 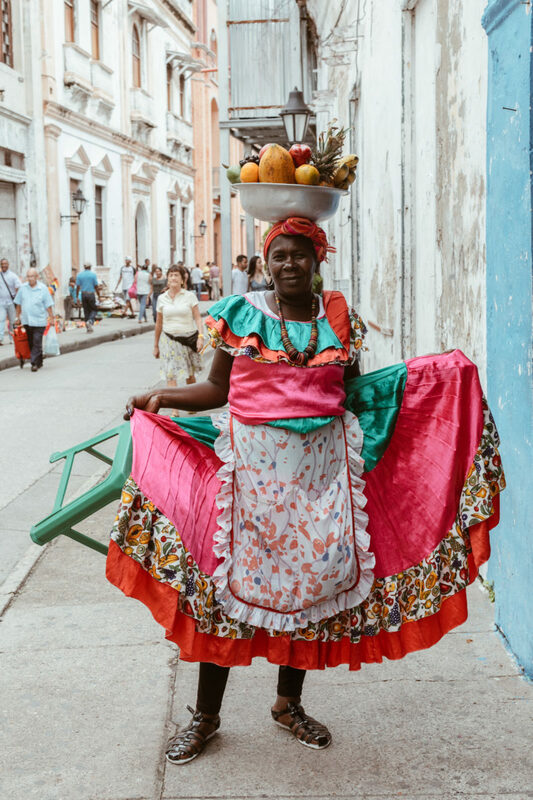 A street merchant dressed in clothes as colorful as the city itself. 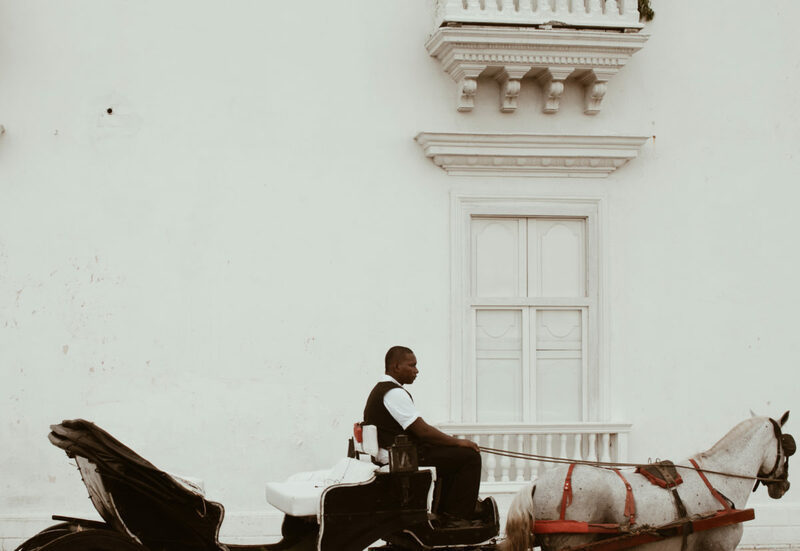 One of the many horse drawn carriages in Cartagena, a typical tourist activity. 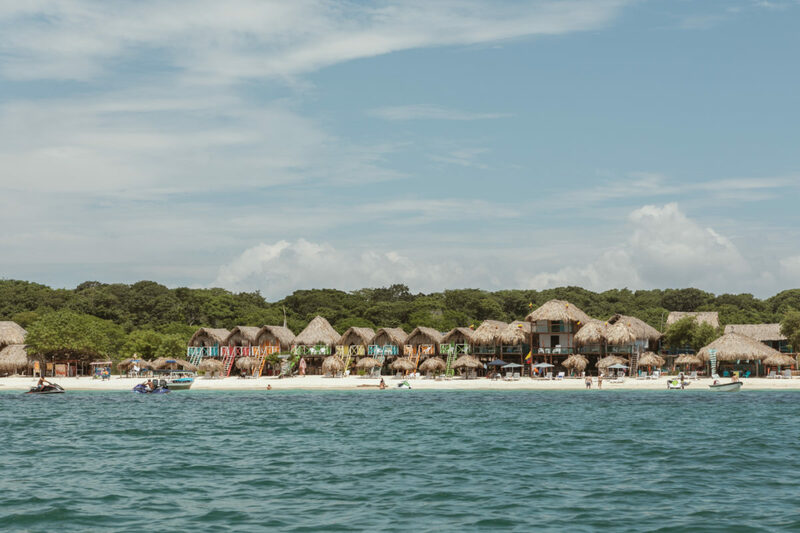 Isla Barú, an island off the coast of Colombia, is just an hour away from Cartagena and accessible by both car and boat. Go early to avoid the crowds, and don't be afraid to say no to the hawkers. 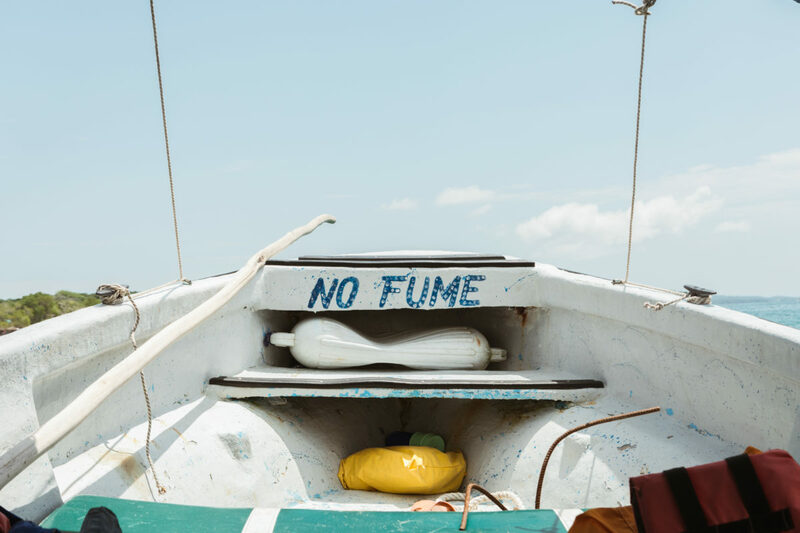 Take a boat ride as far down the beach as you can to avoid the crowds at Isla Barú. 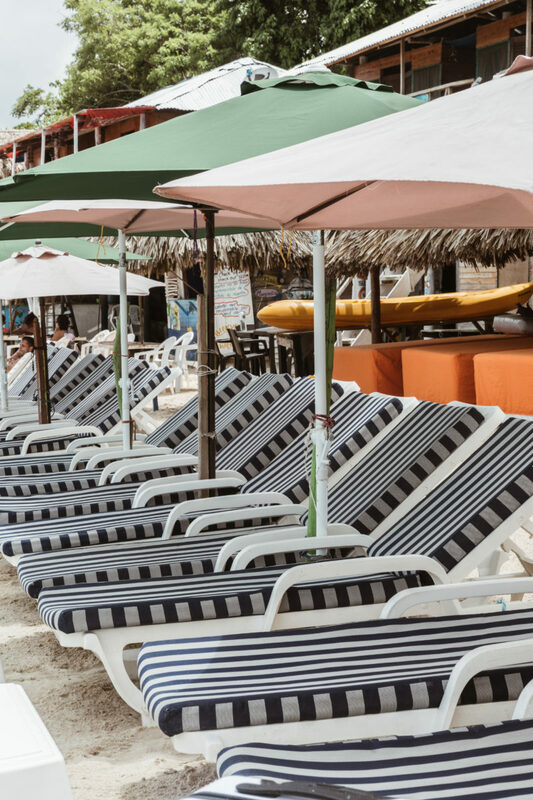 A blissful crowd-free morning at Isla Barú. 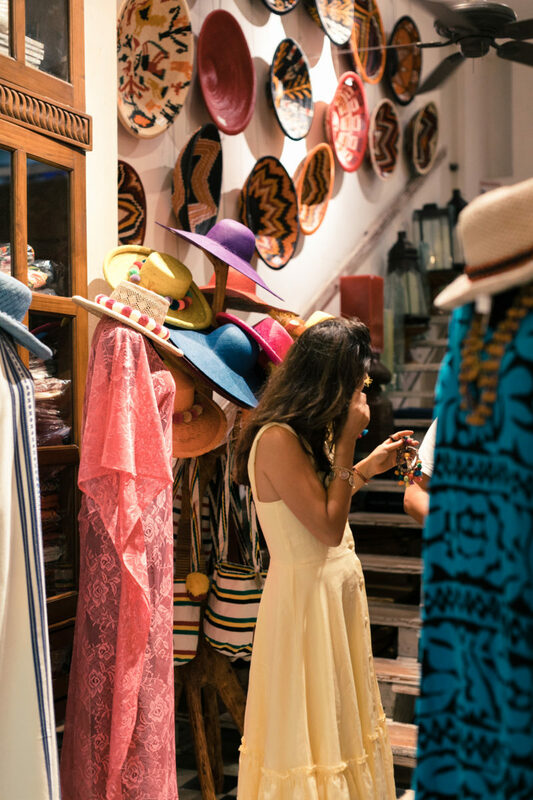 Casa Chiqui is a home goods, clothing, and jewelry boutique from Chiqui Echavarria, Cartagena's preeminent party host. Her daughter, Cloclo, took us on a tour of the city and helped us scout the best finds at her mom's shop. 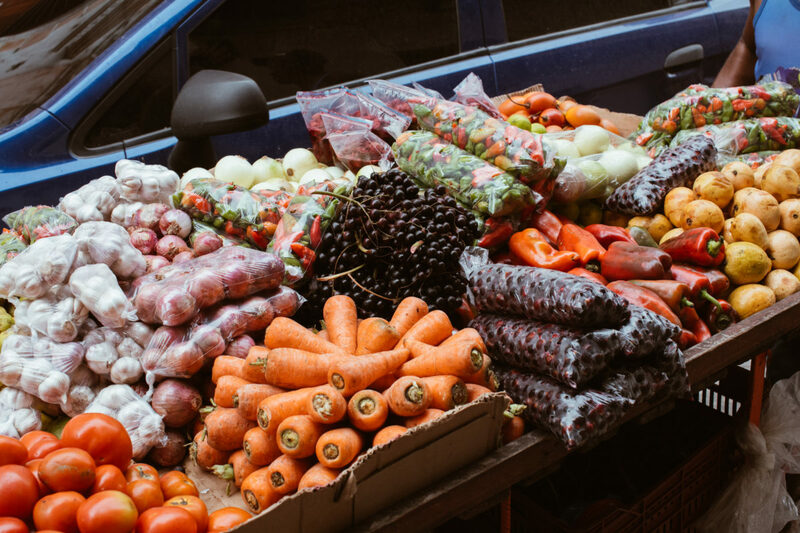 Fresh fruit and veggies are everywhere you look. 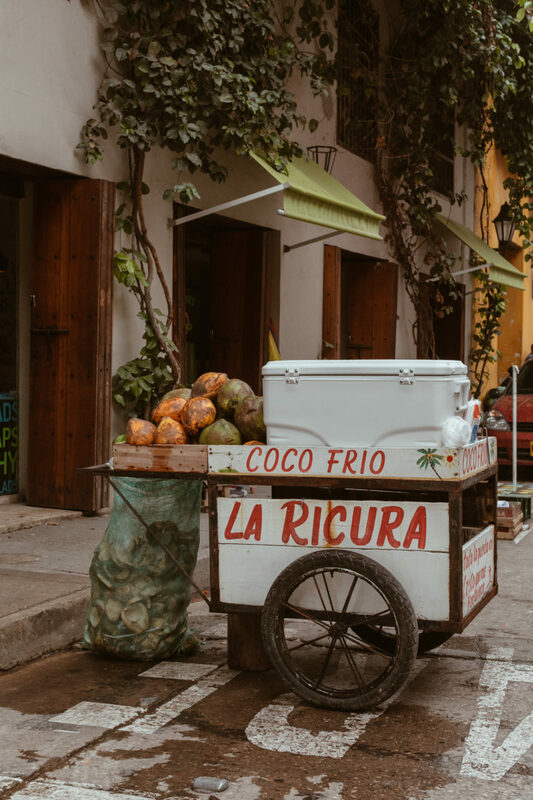 Coconut can be found on almost every menu in Cartagena in many forms, but you can't leave the city without trying the ubiquitous limonada de coco. 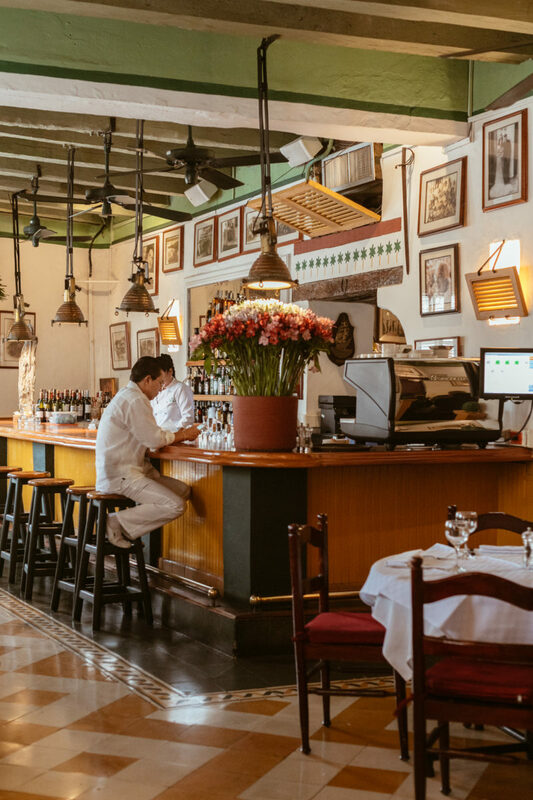 La Vitrola is a classic Colombian restaurant adored by both locals and tourists. One of the many colorful facades in the Old City. 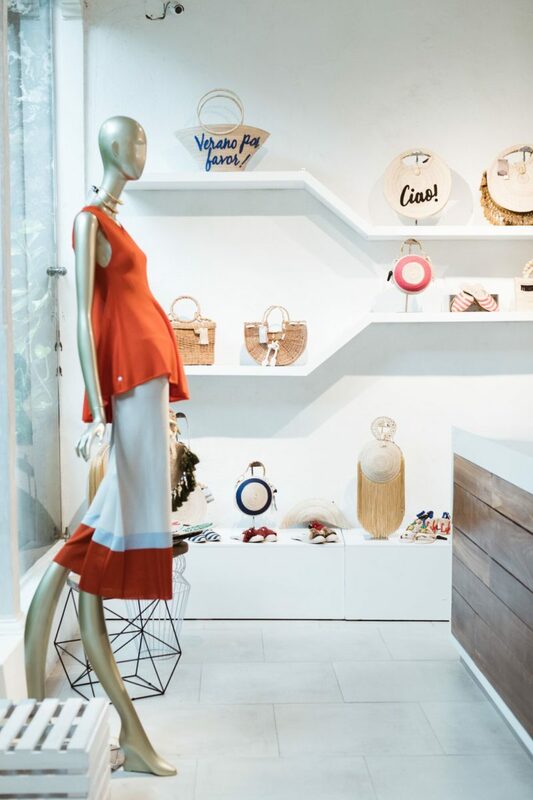 St. Dom boutique only sells Colombian designers, including well-known names such as Johanna Ortiz and Paula Mendoza, and less-known (but equally covetable) gems like Piu pajamas and Palma Canaria slides. 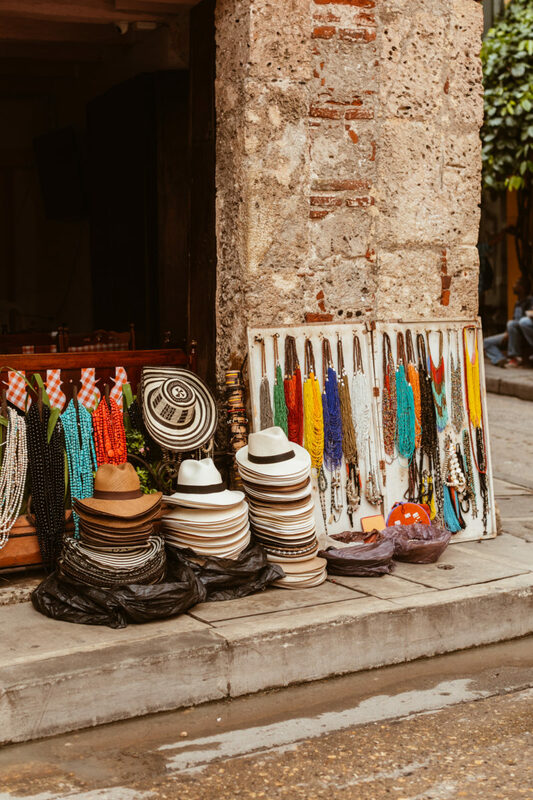 Hats and jewelry for sale on the street. A view of the ocean from Cartagena's famous walls. 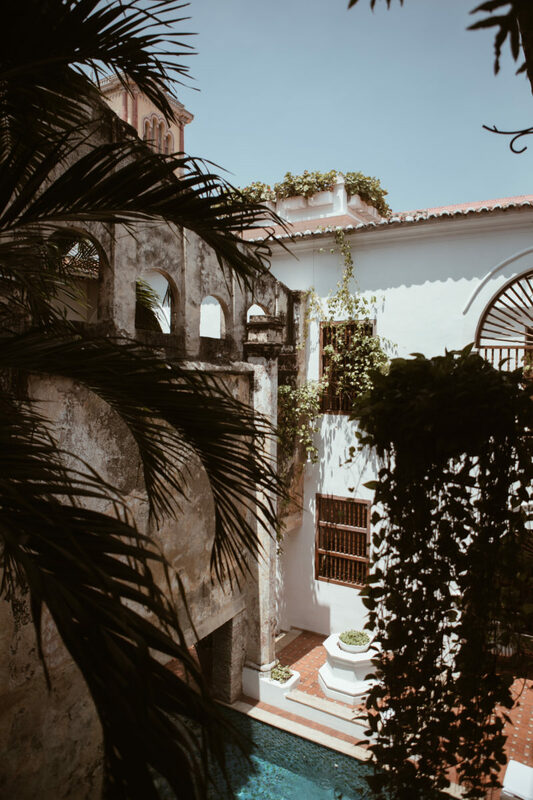 The focal point of the Casa San Agustín hotel is its 500-year-old aqueduct and perfect swimming pool. Cloclo admires the weaving at Artesanías de Colombia, a government-supported corporation that promotes artisans in the country.